One of the first radio interviews we did was with Tessa Mauro of Paranormal Prowlers. It was a wonderful experience as she is an outstanding journalist. Afterwards, we became fast friends! Not only is Tessa an accomplished paranormal investigator but also a gifted author. 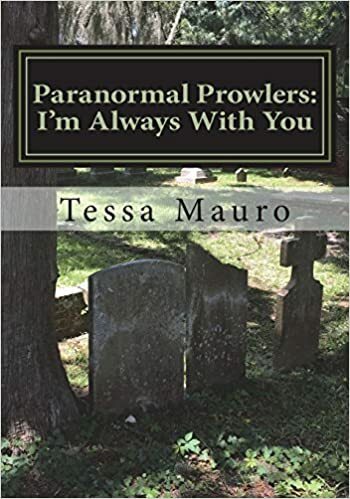 Her new book, Paranormal Prowlers: I'm Always With You, was recently published and is available on Amazon. You can find Tessa on Facebook, Twitter, and on Paranormal Prowlers Group Page. We're thrilled that Tessa has decided to become a guest blogger on our blog! Paranormal Prowlers: I'm Always With You. Being a paranormal investigator, I have gathered quite the plethora of evidence through out the years. 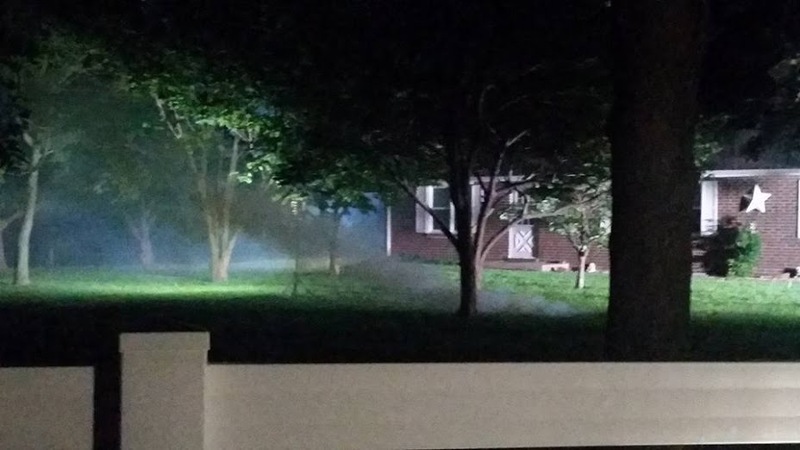 I have had full on conversations with spirits, I've caught everything on recording from disembodied footsteps to growls, weeping, shrieking, and more. There is never a dull moment when it comes to the paranormal world. Even before I started investigating (several years ago) I have had encounters and experiences with the paranormal. I have truly believed since day one. My mom shared with me that as a child, no older then two, we would be driving some where and we would pass a graveyard or a cemetery, and in the back I would be screaming in my car seat, "Mommy! Grave yard! Grave yard! Me GO!! Me WALK!!" It baffled her how her two year old toddler could even know what a grave yard was! I've always had love and respect for the deceased, and every thing about it. In addition to being a paranormal investigator, I am also a Sensitive. There are times during investigations that I hear the spirits without having to use my tools. It's like they are whispering in my ear, now of course I always have my recorder running, and it just validates it for me. Yes I heard this man speaking in my ear, no one else heard it, then later I hear it on the recorder. Amazing. I also from time to time get phantom smells. This hits me like a ton of bricks. No one else smells it, just me. Mind you this is a overwhelming scent. It's not like a hint of a smell, it's more like invading your space and nostrils type of smell. At times it's a strong cedar type scent, usually the smell is a nice one, but when it's over powering, I get a headache. Sometimes I will smell my dear Grandma's baking. God, I miss her so much, and her baking...she was phenomenal in the kitchen, and even as she grew older, she would make at least ten different types of sweets for the holidays. She was a wizard in the kitchen. There was one time, after my Grandma passed on, I was at her condo, it was a day or so before her funeral and I was staying there making a board filled with her pictures to present at the funeral. That whole day I felt uneasy...I worked into the night and passed out on her couch. I woke up a couple times to hear whispering down the hall. I get up, turn on all the lights, double check every room, door and window, each room is empty and every window and door was secure and locked. I turn off the lights and go back to sleep. Well an unknown amount of time later, I awaken to hear whispering again. I look around and in the kitchen (which is right near the living room where I was at) I see a light on. This light is like a lantern attached to the wall, which is located by my Grandma's room. She left this light on every night because she often would come out to get a drink of water. I know for a fact that I turned that light off earlier, the last time I was awake. Not only was this light on, but I happen to see a figure standing there by the light. Just a few feet away from where this figure is standing, is a door that leads to her backyard, there are two small steps. One she miscalculated and ended up falling, in which resulted in her untimely death. I feel that was my Grandma. I was very close to her and when she died I dived deep into depression. We lose ones we love, some are old and some are young, I was lucky to have my Grandma in my life for as long as I did, but it still shocked the hell out of me when she died. On occasion she stops by and says hello with a ever so sweet scent, thick in the air. There are others that I miss that let me know they are around. One happens to be one of my former best friends. Yes former. We hadn't spoken in probably 7 or so years prior to his passing. But when we were friends, we were the best of friends and were always together, it was a group of us really. In death we are much closer then the last years of his life here on Earth. He has come to me through several mediums, one even telling me his name, tattoos and more. He has come through via the Ouija board and on occasion he is caught on recorder via EVP sessions at random locations. I feel him around me all the time. It's a comforting feeling, knowing you are being looked after. "Paranormal Prowlers: I'm Always With You"
Thank you Lance for this awesome opportunity! For those who want to hear Lance and Jennifer on my radio show let me know and I will send you their link! Thank you Tessa. I enjoyed your article. The next time you are in Kentucky let me know. I am in Louisville and will enjoy meeting you. At this late stage I am getting into visiting some of the haunted places in town. I have learned recently that I am a knower. I didn't know there was a name for it but I have always been able to read a person and know their moral compass position. There hasn't been but a couple of times that I was wrong. Lol thankfully.